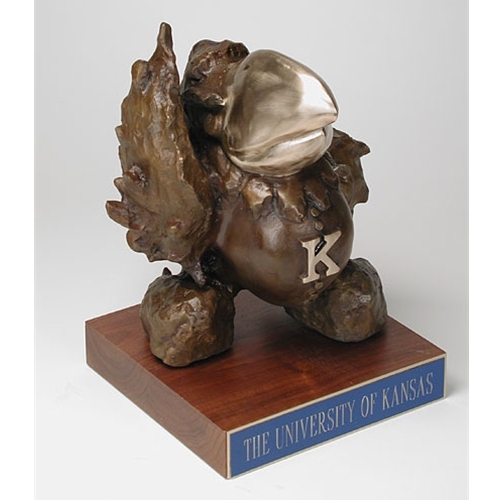 Is there a better college logo or mascot than the Kansas Jayhawk? 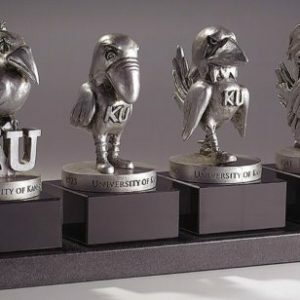 The Jayhawk is synonymous with all things KU, from their rich athletic tradition to their prestigious academic accolades. 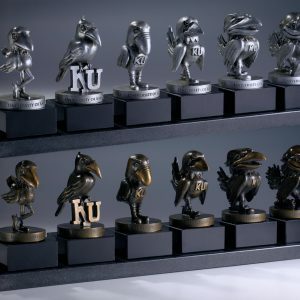 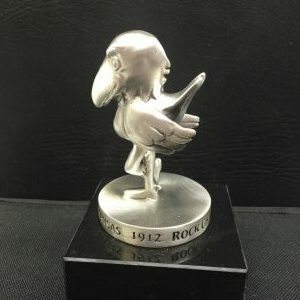 Renderings of the Kansas Jayhawk make for ideal collectibles, commemorative items or for art or decorations for your home, dorm or business. 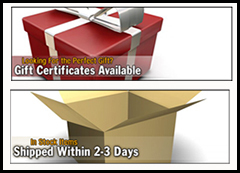 Framewoods Gallery ensures we have something in stock for all styles and tastes. 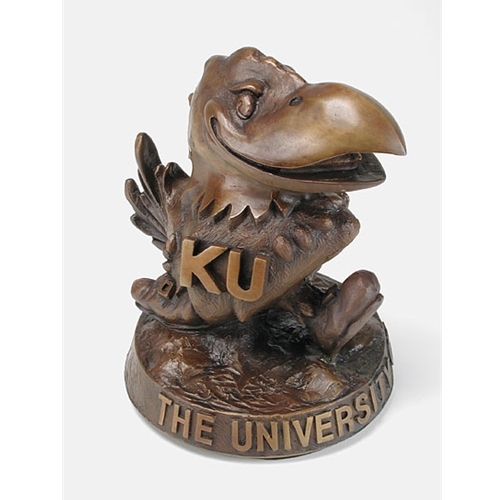 We have everything from Kansas University statues and sculptures, to actuall flooring from the illustrious Phog Allen Fieldhouse. 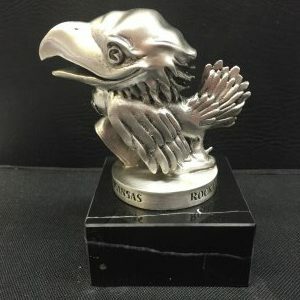 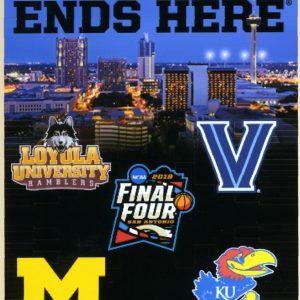 Our company is confident that you will a Jayhawk image to your liking; however, if you need any assistance finding the right one for your needs, please contact us today.